Gabriel Dubois had two match appearances this season. Since Gabriel Dubois came into world in 1996, to be more precise March 4th, the defender is one year younger than FK Senica's average player. In terms of preferred feet, he is a right footer, like 81% of FK Senica. The club of Gabriel Dubois, FK Senica, presently holds sixth position in Superliga (Slovakia). Back in 2019, French defender Gabriel Dubois'' contract with FK Senica (Slovakia), the club he is still a member of, took effect. It's been twelve days since he played his latest match. 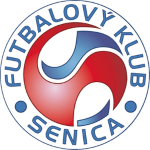 Apart from Gabriel Dubois, Joan Jaramillo, Lukas Kucera, Marko Tesija, Kay, Roberto Dias, Patrick Asmah and Erik Otrisal are also defenders of FK Senica. His longest stay in a team counts three years and 11 months in Ol. Marseille (France). In terms of winning, his team was able to do so in 33% of Superliga's matches. Before joining FK Senica, Gabriel Dubois impressed at GS Consolat Marseille and Ol. Marseille. He received four penalties throughout his entire career (of which 3 where yellow). In the current playtime, he caught 2 yellow and 1 red cards. Two months has been the stubbiest period that he was contracted to a team (the current one) FK Senica's number 6 is Gabriel Dubois.